Load shedding has become the biggest threat to the already ailing agricultural economy. This is according some farmers in North West where they say that the latest power outages have put immense pressure on irrigation reliant and energy intensive farms. This includes a large section of crop and poultry farms who are forced to invest significantly in alternative power sources. 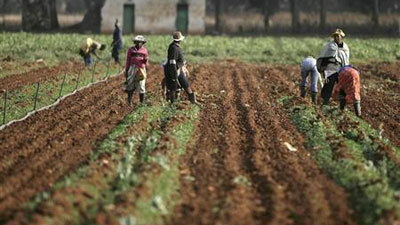 Most of the farmers have become desperate for power to run their daily farming activities. Those who are farming in crop using irrigation system to water their plants and intensive farming relies mainly on electricity. They say, they are racing against time to produce the best quality product. However, they say, since the load shedding has been introduced they are not certain about the production. Dan Van der Merwe farms in tobacco, beans and barley in Groot Marico near Zeerust in the North West. He says, due to power outage they are losing thousands of rands per day. He says his plants are suffering because the generators are malfunctioning. However, the owner of De Oosthuizen and Seuns Boerderei, Wessels Osthuizen is a poultry farmer near Zeerust. He has over seven hundred and fifty thousand chickens. He says, due to the consistent power cuts, he uses diesel for his generator to keep lights on in the broiler for his chickens. Oosthuizen says due to load shedding the bill will double this months. “On the diesel is about twelve litres per hour, what they cost us. The problem is the risk we got if there is something wrong with the generators I got a total loss of hundred and seventy four thousands of chickens at once because there is nothing I can do,” says Boerderay. Meanwhile, Andrew Adzinger, Eskom’s acting head of generation says, the stage four of load shedding will continue until on Wednesday. “From Thursday and Friday there will be load shedding but it will not be stage four it will be other stage and that will depend on what happens with our generators but at this pointing time is not looking good we expecting generators on break down will come back to service and will improve towards the end of the week,”says Eskom’s Head of Generation, Andrew Adzinger. Edzinger says, currently sixty five percent of generators are working. The post N West farmers feel the pinch of load shedding appeared first on SABC News – Breaking news, special reports, world, business, sport coverage of all South African current events. Africa's news leader..